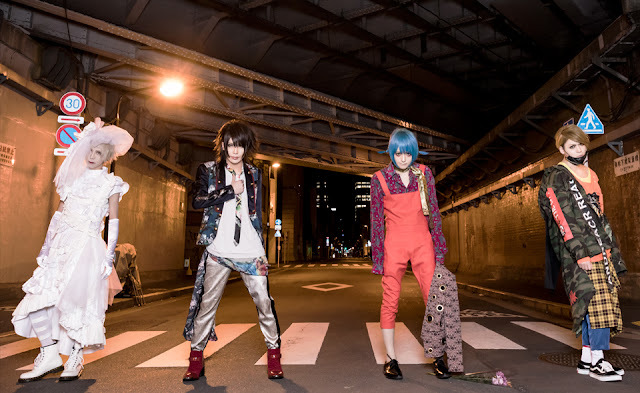 レイヴ (RAVE) Leaving PS COMPANY + New Mini-Album Details | VKH Press – J-Rock & Visual Kei Coverage Worldwide! Today it was announced that the band's contract with their label PS COMPANY will be terminated on March 31st, but no particular reason for this decision has been mentioned. However, their scheduled tour in June 2018 called 世知辛さん通ります (sechigara san tourimasu) is going to take place and none of the eight performances will be cancelled. It seems like they already joined another company though: In their statement they are refering to 24RECORDS as their new address to contact them. You can see their website by clicking here. Moreover, the band's upcoming mini-album is going to be released as planned: メンブレさん通ります。(menbure san tourimasu.) will be out on May 30th in two different types. All members ask their fans to keep on supporting them after their departure from PSC. They promise to continue and will be doing their best in the future.